A long waited J’S RACING original ride height adjustable suspension system ”Black Series Damper RS” is making its debut !!! 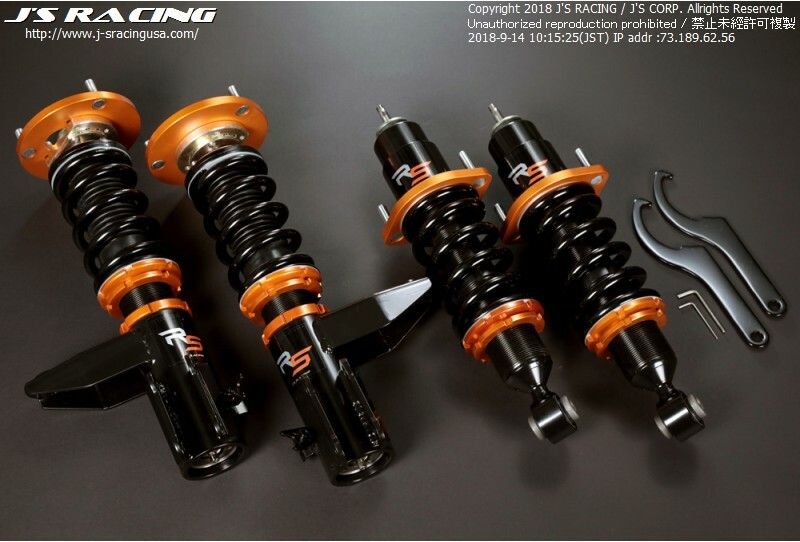 The feedback from the enormous amounts of know-how which has been accumulated from the many racing series and events for the last 20 years are fully utilized to the creation of this new suspension. This RS series, different from the conventional suspensions with an emphasis on the street driving, are special spec dampers which are tuned for performance driving. 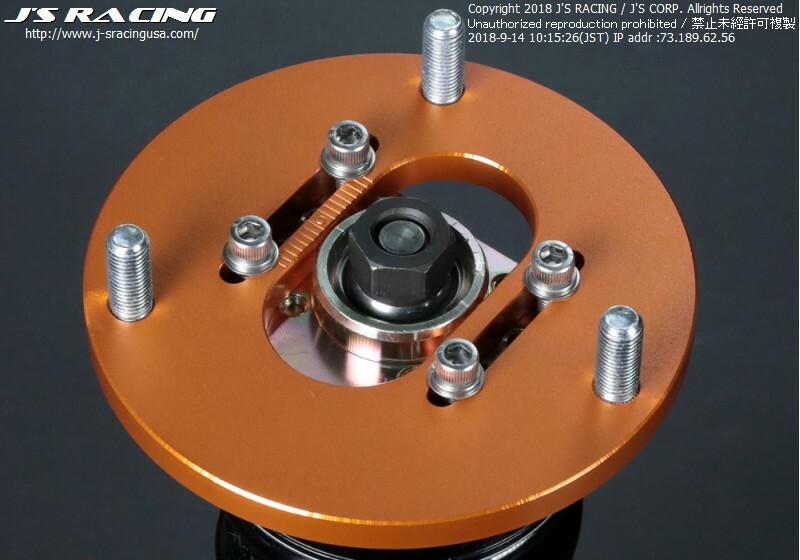 With stiffer springs than the conventional suspension kits, a further reduction of the ride height is possible, and the front and rear spring rates are carefully chosen for each model to achieve a faster and more stable cornering. 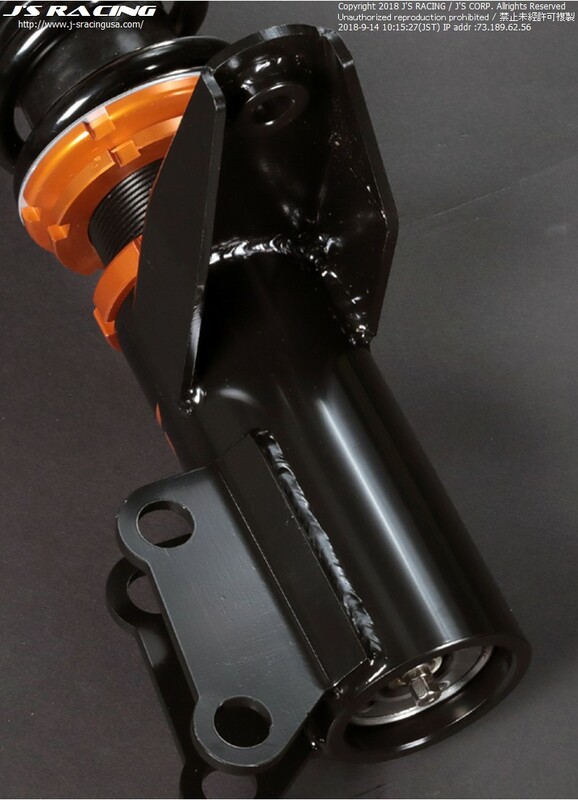 As a full tap coilover suspension, the length of the case and the stroke are designed short and it provides an easy set-up without sacrificing the bump stroke. The monotube single cylinder type uses the conventional structure, while the strut type which requires more rigidity uses the upside-down fork design with a large diameter cylinder. You can adjust the damping force in 15 steps to find the best setting for your specified driving stage. High performance & Reasonable price – Please experience this new suspension for your ride.